Our Minimum Delivery fee is $150. This includes a Delivery, Setup, Take Down And Dumping Of Sewer Holding Tanks. within 50kms of Kamloops. Over 50km add $3. Per Km to destination. This Includes Delivery, Setup, Take Down And Dumping Of Sewer Holding Tanks. (B.C Provincial Parks) B.C Parks are now not allowing RV companies to deliver and setup in their parks, this does not apply to U-Tow rentals which is still allowed. 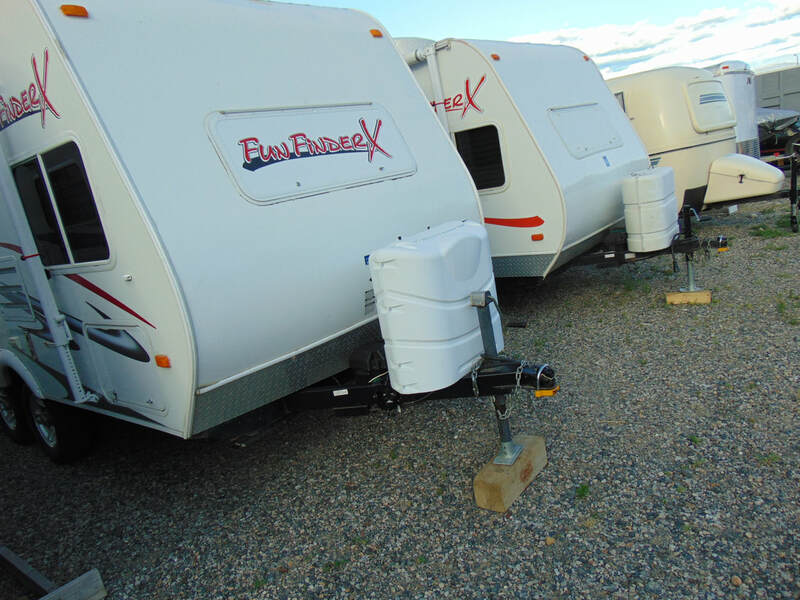 We can however deliver & setup to private campgrounds and RV resorts throughout the Shuswap and Kamloops region. Please Contact Us with a delivery location or address for a quote. Renter Is Still Responsible For Cleaning And Tiding up Inside of Trailer before pickup A $250. (Cash) Damage/Cleaning Deposit Is Due Before Delivery. Campsites Must Be Booked In Advance By Renter And Pickup Date & Time Arranged With Little RV rentals. Delivery Is Due To Availability Please Inquire When Booking. Pickup return times can be arranged between 7:30 & 11:00am Depending on availability as we will be serving other customers with tow ins in the afternoon. Drop off times for rv's (for our setup and delivery service) are either before 12noon or later in the afternoon after 3pm....as we have other RV's returning between 12-3.